› Restores lost or deleted files from all types of storage media drives in major data loss cases. › Works with major Hard disk standards and USB flash media including Pen drive, Memory cards, USB drive, Removable media, Thumb drive and other data storage devices. 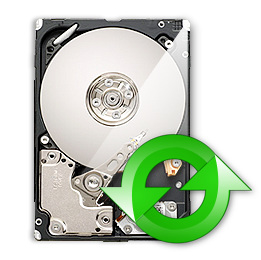 Data recovery utility is capable to retrieve lost or deleted files saved in NTFS partitioned hard disk drive of your PC. Advanced tool salvage data even if lost due to accidental deletion, formatted disk or other common data loss reasons. FAT data recovery software is useful for all computer users to retrieve and restore important files lost from Windows hard disk drives at once. Support recovery of data from various hard disk interface including SCSI, IDE, EIDE and SATA drives in easiest manner. Recovery tool is useful for professionals and individuals to recover lost or accidentally deleted pictures saved in digital camera media. Retrieve all your lost images, digital stills from major branded digital camera types available in the market. Advanced utility to undelete photos, images deleted or lost by mistake from PDA handhelds, Mobile communicators, mp3 players and other removable USB drives. Program will help you to restore lost pictures in few mouse clicks without requiring expertise knowledge. Memory card data recovery software provides helping hand in all major data loss conditions from flash card storage media. Card recovery software retrieves audio-video files, text files etc lost or accidentally deleted from various memory card formats. Software is recovery utility to retrieve and restore lost images, music and other important documents saved in pen drive storage media. Advanced data recovery program supports recovery from Kingston, SanDisk, Sony, Kingmax and other branded key drives.